The WSC Torah Science group is now reviewing and discussing “The Great Partnership – Science, Religion, and the Search for Meaning” by Rabbi Jonathan Sacks. Rabbi Sacks writes about the separate but important roles of Torah and Science in civilization. The group is current reading and discussing Chapter 1 – ‘The Meaning Seeking Animal’ We ended the session on page 23 at the break. 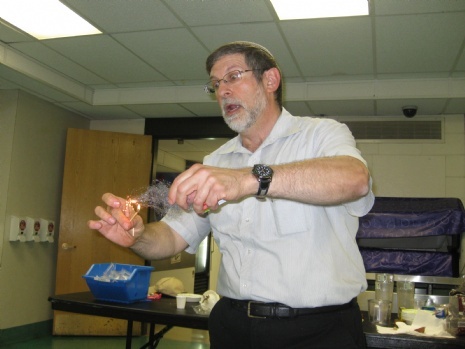 Super Science Sunday got off to a rousing start on February 1st at the Walder Science Center! Super Science met during Chicago’s heaviest winter snowstorm. We explored light, colors, pigments, filters and much more! Girls meet 11am to 12:15pm and boys meet 2 -3:15pm.February 8th is for grades 1 to 4 and February 15th is for grades 5 to 8. 0 Responses on Walder Science Center Updates: February 1st"